Not many places would use duck as their restaurant theme as it is risky when only a few people are excited about a duck dinner. There are places where you can get the best ducks in the town, but it is rare for find the whole page of menu filled with duck dishes. 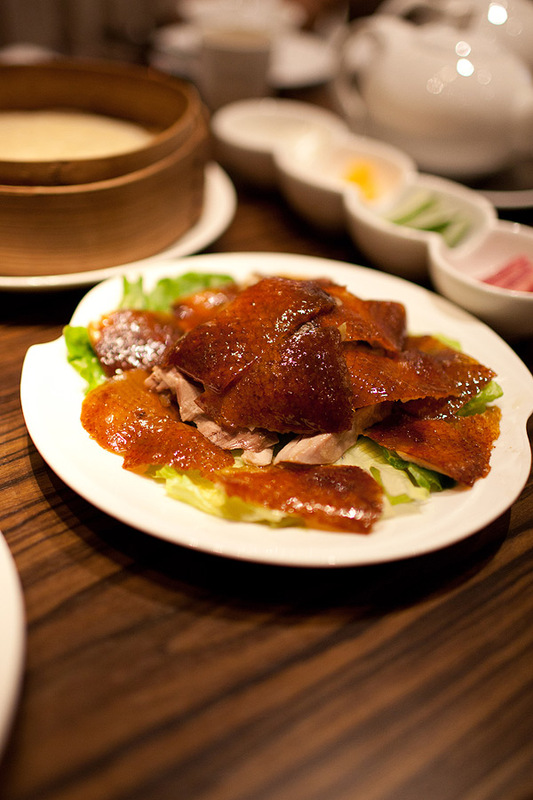 Empire City Roasted Duck dares to take the risk, because it belongs to the huge Super Star Group 鴻星. The menu, on closer look, is not all about duck. 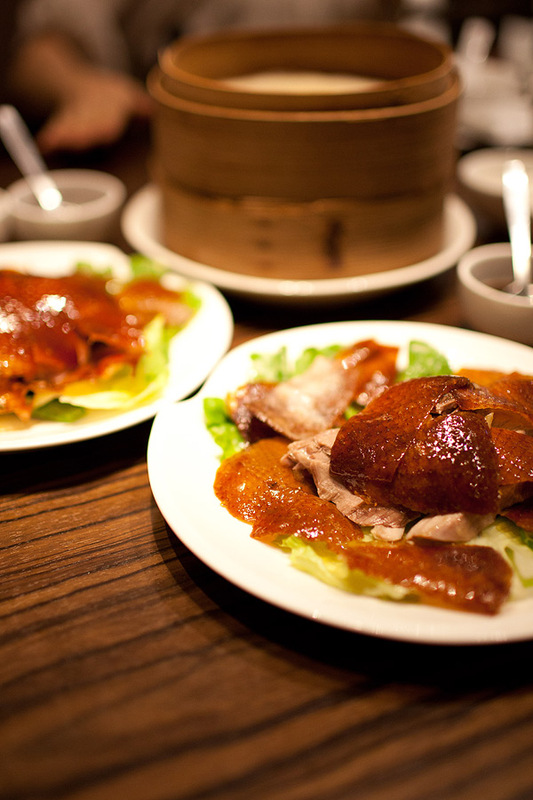 Besides the typical duck dishes, there are also other Beijing dishes, but everyone knows what you are looking for here: Beijing duck. Unlike many other places where just Guangdong ducks are used, all the ducks here are from Beijing (白河浦填鴨). Instead of using a traditional fire oven, these ducks are smoked in an electric oven with Chinese-origin scented logs. After the skins and outermost meat are cut for the Peking Duck dish, the remaining is usally taken for a minced duck dish (二食) or making soup. Here, you will find as many as ten choices for the second-eat. 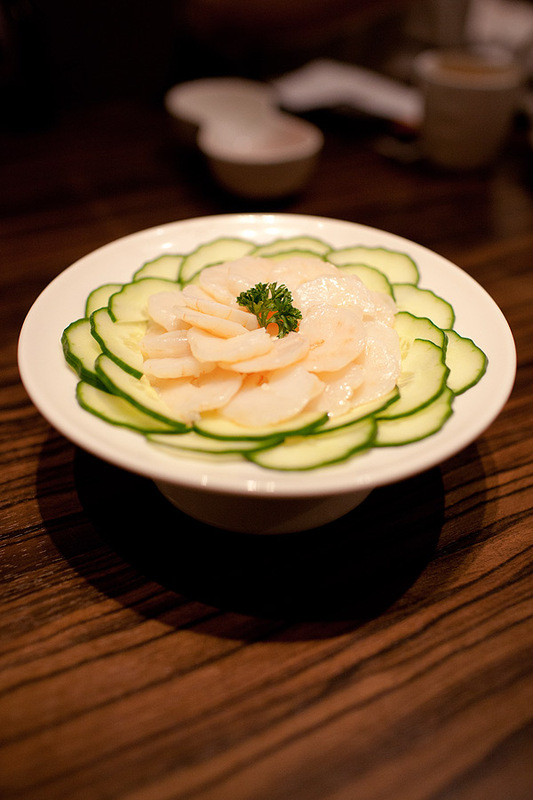 The starter is a Marinated Shrimps with Peony 牡丹蝦仁. It is impossibly white and clean, making me think if it is something edible. It turns out to be a nice light appetizer. 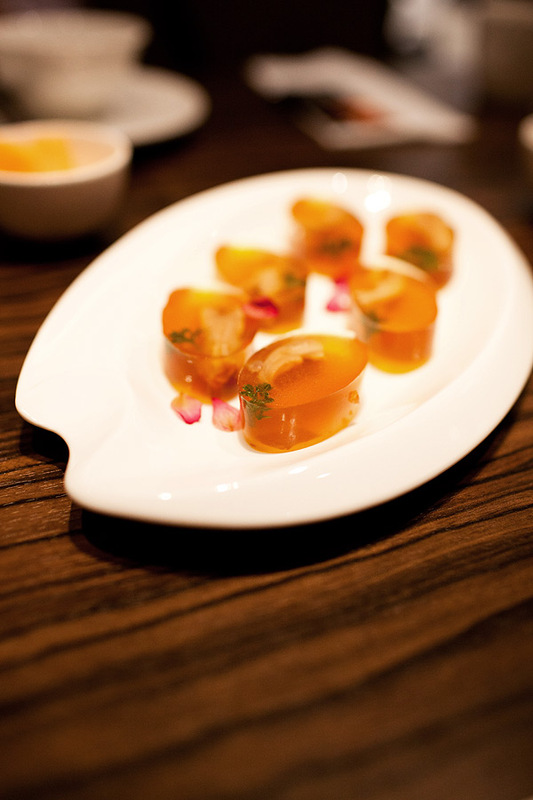 The following Crystal Duck's Tongues 水晶鴨舌 looks interesting, but is overly flavoured. This is a big letdown and so don't be deceived by the look of it. What we are coming for is here, the Peking Duck 北京田鴨. It is very nicely prepared and, probably great news for those who is overly concerned about calories, has very little fat in each slice of meat. The skin is crispy and thin too. The best part, however, is the pancakes. 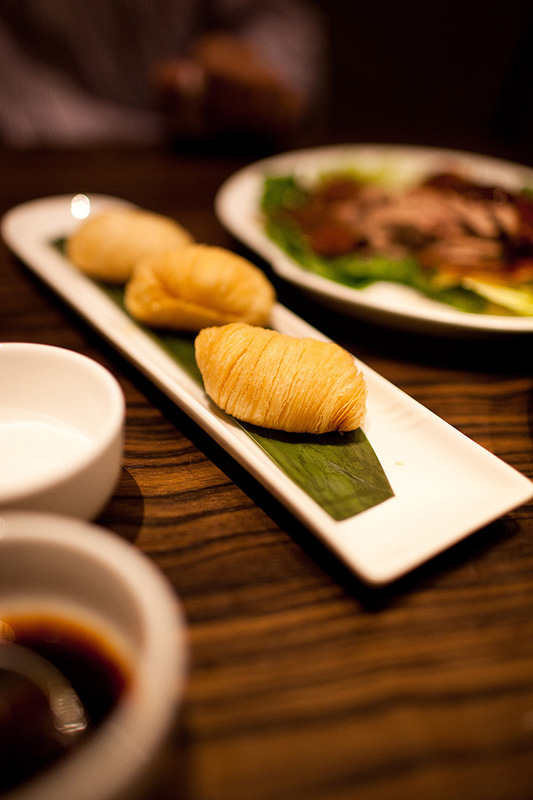 These pancakes for wrapping the duck and scallion are amazingly thin and tasty with some slight traces of egg flavour. It is slightly sweet too, making an interesting combo with the duck. While everything looks okay, the duck actually needs more fine-tuning. Our duck meat is nearly insipid, and if there is no sauce or if the pancakes are not flavoured, the whole dish will be inedible. 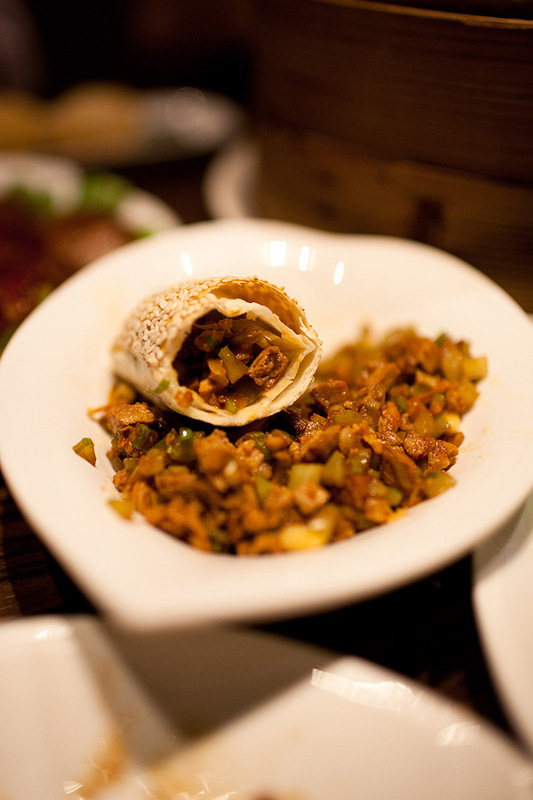 For the second-eat, we have Stir-fried Minced Duck Meat with Pinenut and Dried Conpoy (with Lettuce and Sesame Pastry) 二鬆炒鴨末. What we have here on the table, however, is more like shredded duck meat but not minced, though it is still quite well done. We added two more dishes after the duck, including the Stewed Green Beans with Spicy Minced Pork 乾煸四季豆 and Baked Turnip Pastry 蘿蔔眉毛酥餅. The first one is nothing surprising, while the latter pastry one can be much better. The turnip filling can be shredded thinner to create a finer and smoother texture. It sounds like there is quite some room for improvement for this new restaurant, but it has a good beginning. The duck dishes are obviously above the passing grade, but the others need to be better to support the ducks. 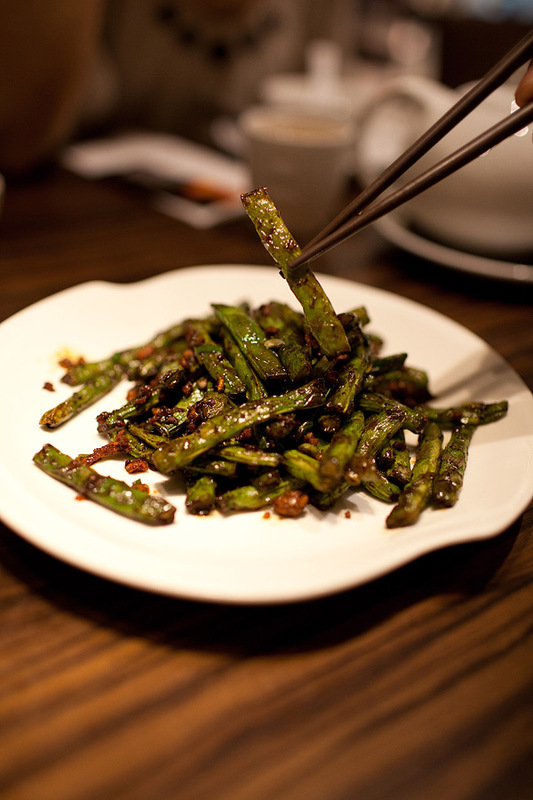 More creativity in the dim sum and side dishes will no doubt attract more local people who love options, but to keep them coming quality is probably the only way besides the affordable prices.